November 2, 2013 Jen O. 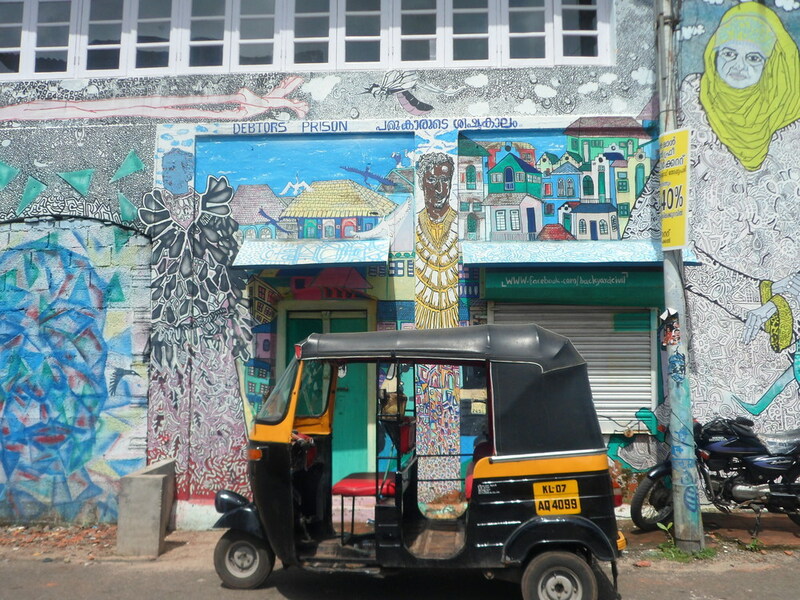 Street art spotted in Fort Kochi, India. Istanbul has everything I want in a destination: history, culture, architectural marvels, excellent food, a nightlife scene, easy public transportation, great weather, a sense of style… the list goes on. Clearly I don’t ask much. Aside from checking off nearly everything on my city wish list, Istanbul has the added bonus of straddling Europe and Asia. Where else will you find the clash and harmony of two continents, two worlds, and two cultures? 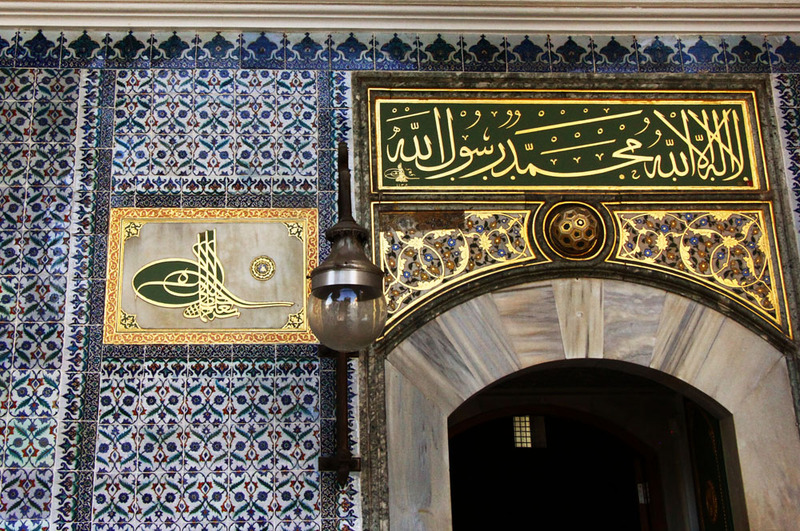 I’ve yet to see any other place do it with the same grace and comfort that I found in Istanbul. 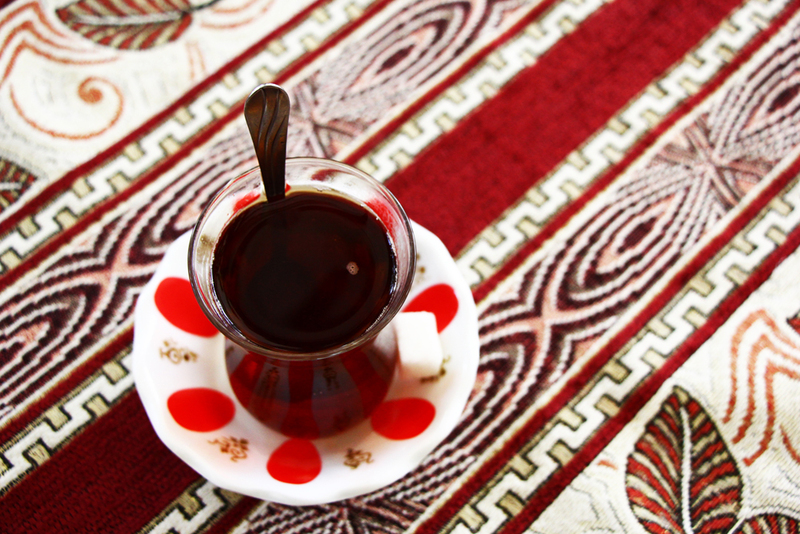 The ever-present çay, Turkish tea, in a tulip glass. Pyramids of spices at the Spice Bazaar, where scents swirl together in the air and even perfume your clothes as you pass by. Tiny tiles dress up the dramatic domed ceiling of Sultanahmet Mosque, also known as The Blue Mosque. Kofte: Turkish meatballs cooked in a cast-iron skillet with a mix of local peppers. Amazing. Quiet streets of Gulhane before the morning bustle. Modern and comfortable, yet only steps from ancient history. Colorful Turkish lanterns at the Grand Bazaar. 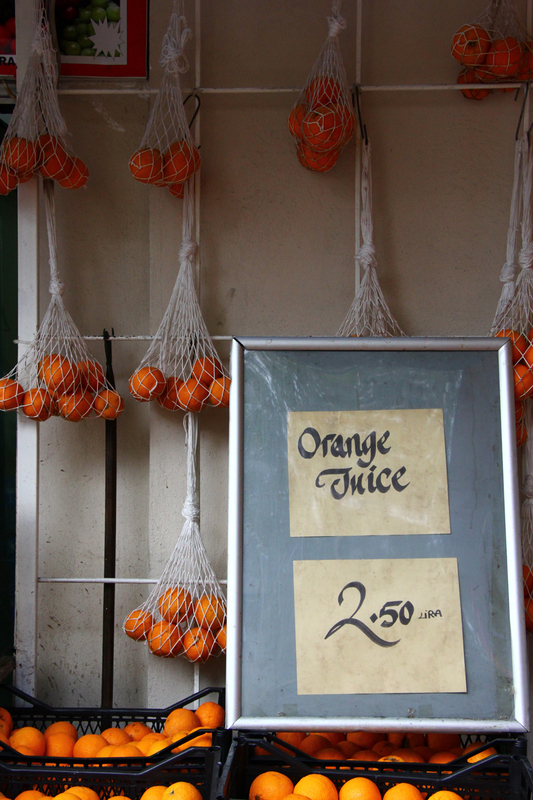 Fresh orange juice is a city favorite. A late night ice cream mission. Beautiful chandeliers adorn the Aya Sofya, one of Istanbul’s most famous sites. A stunning sunset puts Sultanahmet’s many minarets in silhouette. In 2000, I took a private class with the chef and owner of Apple’s Retreat and Guest House when I stayed in Kanchanburi, Thailand. It was there that I had the most heavenly green curry ever. My teacher’s nickname was “Apple,” and she’d spent some time studying under a chef in Canada, so she spoke English. I spent the entire day with her, including going to the market so she could teach me how to choose a good shrimp paste, fish sauce, etc. Then we cooked all day. I took notes on how she made her curry, so while not her own recipe per se, this is my interpretation. You really need a mortar and pestle, ideally, to make a traditional curry. Her food was honestly the best Thai I’ve ever had. I loved the recipe so much I used it for teaching Thai cooking to kids when I ran my cooking school in Berkeley. Directions: Place both Thai chiles in a mortar and pestle and grind to a paste. Add lemongrass and grind to paste. Continue to add the following items one at a time and grind to a paste before adding the next ingredient: galanga, shallot, garlic, kaffir lime. Toast coriander seed and cumin over medium heat in a small fry pan. Add to paste in mortar. Grind until coriander seed is completely broken down. Add serrano chile and grind. Add cilantro root and shrimp paste and grind. Add curry powder and turmeric and grind into paste. Remove curry paste from mortar and add to a large skillet. Over medium heat, add 2 tablespoons of oil to paste until heated through. Add one tablespoon water and crushed kaffir lime leaves to curry paste. In a small saucepan, bring 2 cups coconut milk (make sure you add cream from top of milk) to a boil. While coconut milk is heating, add eggplant and chicken to curry paste mixture and saute, stirring constantly, until chicken is cooked, about 2 minutes. Add coconut milk to curry mixture and any remaining veggies that need to be cooked. Heat through, about 1-2 minutes, then add nam pla, sugar, and salt, and bring curry back to a boil. Remove from heat and serve immediately over steamed Jasmine rice.